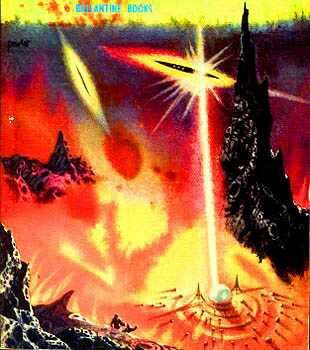 In his 1955 novel Earthlight, science fiction authorArthur C. Clarke thought of an incredible superweapon that used giantelectromagnets to shoot a stream of molten metal at lightning speed. Now, theDefense Advanced Research Projects Agency (DARPA)wants one for America's military. They are calling it MAHEM, which stands for MagnetoHydrodynamic Explosive Munition. The intent is to create a device that createsa powerful enough electromagnetic field to propel streams of molten metal atenemy armor. If it works, the device will be a big improvement on a technologythat got its start in World War II — the self-forging penetrator. Self-forging penetrators, as they are currently used, resultfrom a conventional chemical explosion directed against a specially-shapedmetal liner. When the device is set off, the blast causes the metal liner toachieve a new shape, suitable for penetrating deep into even moderately armoredvehicles, and driven forward at a high velocity. The technology dates back toWWII. This kind of weapon can be highly effective (it is currentlybeing used against troops in Iraq). The drawbacks of this kind of weapon fromthe standpoint of US military planners is that they are one-time-use weapons,and cannot efficiently form multiple SFPs from a single charge. "This could provide the warfighter with a means toaddress stressing missions such as: lightweight active self-protection forvehicles (potential defeat mechanism for a kinetic energy round), counter armor(passive, reactive, and active), mine countermeasures, and anti-ship cruise missilefinal layer of defense." Science fiction readers wonder what took DARPA planners solong; we've known about this idea for more than a half-century. In Earthlight,Arthur C. Clarke makes use of exactly this idea in a battle between astationary facility on the Moon and several attacking space ships, includingthe aptly named Lethe. Listen to the incomparable Clarke describe the battle foryou, which takes place in the Sea of Rains. "Wheelersaw it strike upward, a solid bar of light stabbing at the stars... He did nothave time to reflect on the staggering violation of the laws of optics whichthis phenomenon implied, for he was staring at the ruined ship above his head.The beam had gone through Letheas if she did not exist; the fortress had speared her as an entomologistpierces a butterfly with a pin." The "beam" was a molten jet of metal hurled intospace by enormous electromagnets. You knew that someday it would come to this; Homeland Security calls upon Ghostbuster tech. Via MAgneto Hydrodynamic Explosive Munition (MAHEM); see also this tribute to Clarke, who died at age 90 last month.